Ice is a hinderance to navigation but can especially impede maneuvering and berthing operations that can already be the most sensitive part of a vessel’s voyage. Ice can add hours to the time required to berth a vessel, interrupting the port’s schedule and delaying shipments. Our port concepts are designed to mitigate the influence of ice, facilitating fluent port visits and improving the port’s efficiency and reliability. The vast majority of Finland’s imports and exports are transported via its ports – all of which encounter sea ice during the winter shipping season. 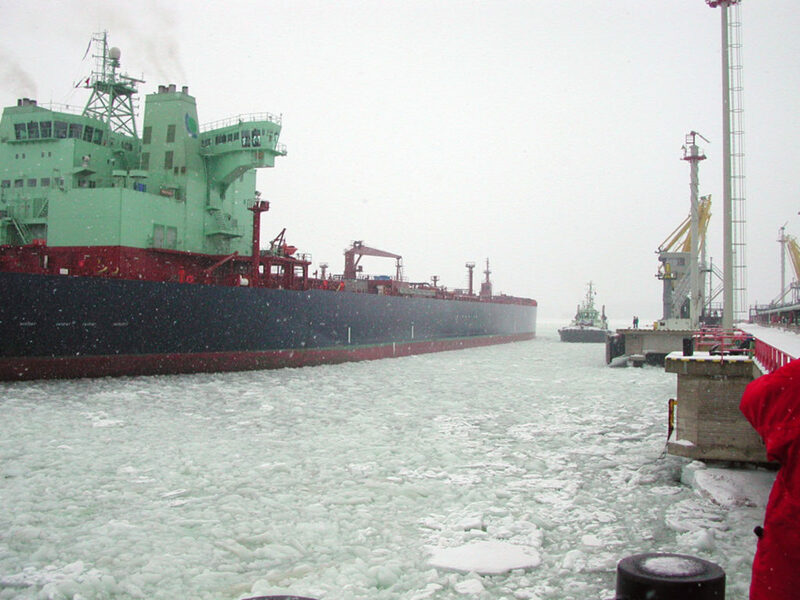 The presence of ice limits maneuverability and can prevent vessels from coming alongside. Furthermore, frequent ship visits in low air temperatures accelerate ice formation, which may restrict access to the port altogether. Various solutions from improved port layouts to methods of eliminating ice buildup have been developed in Finland to address these challenges. Aker Arctic delivers these solutions to its international customers. The resulting design delivers economic benefits for both the port and the ship owners. Ship owners reduce vessel time and fuel usage associated with port visits, increasing vessel utilization. Port owners can maintain cargo throughput during the winter shipping season while reducing the requirements for port icebreakers and tugs. Aker Arctic offers its clients different port conceptual design and consultancy services together with Eranti Engineering. In detailed design and construction phases, Aker Arctic and Eranti Engineering may also provide tailored project follow-up and quality management services for our customers. Do you have questions about this solution? Contact us.